Decisive Trading: Decisive Traders finished by 9:20am on a Friday... Perfect way to go into the weekend! Decisive Traders finished by 9:20am on a Friday... Perfect way to go into the weekend! Another lovely morning for Decisive Traders. All done by 9:20am with a 'double dip' trade (a buy position that turned into a sell position). Although the 'advised' trades do not come every day, they DO add a lovely bonus to Decisive Traders and their daily trading plans. The rally failed at the recent highs, meaning although we rallied, we made no new ground. Whilst above the 6750 level we are definitely positive, however it remains to be seen if the market can maintain this level. 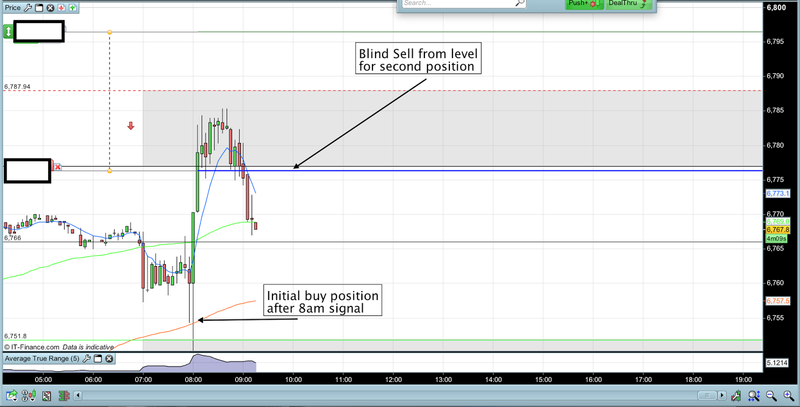 Early morning I am looking for spikes up into our R1 zone for blind sell opportunities, as explained in your review video. 6750 is also a very key level today. Buys from here with good price action are worth looking at.